Both the Xbox One and PlayStation 4 are set to hit the market later on this year, and although gamers have been a little distracted by the respective launch ceremonies of each, we can now begin to kick back and actually look forward to getting some game time under our belts this fall. Bungie and Activision’s collaborative effort Destiny, which will be available on both Sony and Microsoft’s next-gen machines, is easily one of the most eagerly awaited FPS titles of recent years, and now, a full game walkthrough is available to watch on YouTube in 1080p. First shown off at Sony’s press event at this year’s E3 last month, the walkthrough is about as good as it gets. Offering a look at just about everything from combat, weaponry and enemies to buildings and landscapes, it offers Destiny fans something to salivate over until the real thing makes an appearance this Fall. 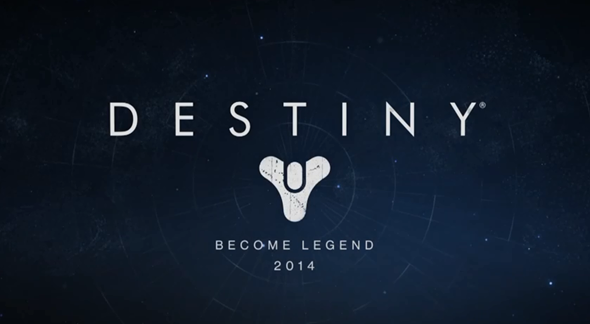 The clip has been capped on a PlayStation 4, but as we know, the Xbox One will also see Destiny from the get-go. Both the Xbox 360 and PlayStation 3 will also get a release of Destiny, with both experienced developer-publishers acknowledging the many millions of gamers that won’t be adopting the new consoles so keenly. 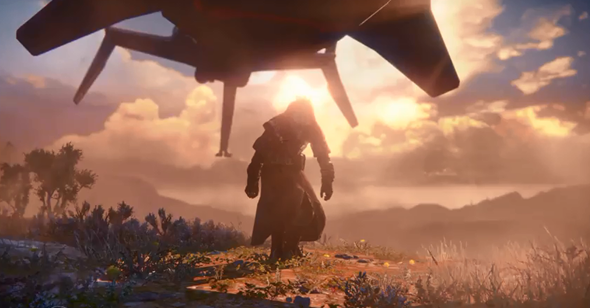 When it comes to engrossing first-person action, both Activision and Bungie lead the way. The masterminds behind Call of Duty and Halo, neither of which require any kind of introduction, Destiny is like a culmination of two of the most successful franchises in the gaming world. In a sense, there are elements of both Halo and CoD here in Destiny, but considering how much we’ve loved both over the years, this is by no means a bad thing. The result, as you’ll see from the walkthrough, is a wonder in itself, and although we’ll have to reserve judgment until we can actually play Destiny for ourselves, the omens are definitely good. With sharp visuals, fantastic effects and as good as a guarantee of solid gameplay given the stripes of these two companies behind it, we simply cannot wait to give this one a go. The title is now available to pre-order from various retail outlets, and even if you haven’t decided on which next-gen console to purchase if indeed at all, this should certainly be in your mind when considering future game purchases.